“Really good, really unexpected, and really different” is how the Village Voice described Girlyman’s lyric-driven, leading edge, three part harmony folk-pop, and that band is scheduled to bring their sound to Alamosa, Colo.’s Cole Park, Sun., Aug. 19, at 6pm, closing out the 2012 season of “Sundays at Six,” free concerts sponsored by the Alamosa Live Music Association (ALMA). “Girlyman is an infectious combination of rock music, folk songs, classical roots, punk sensibilities and just plain fun,” according to the Hartford Courant. The band’s harmony-driven style veers from urban folk to country rock to calypso doo-wop, and the songwriters effortlessly switch off lead vocals and play a range of instruments. Imagine the Indigo Girls got together with Paul Simon and created Peter, Paul & Mary – only sexier, and with a quirky sense of humor. Sweet Radish describe themselves as an acoustic folkgrass band from the San Luis Valley that play originals, traditionals and “radishionals.” A down to earth acoustic string band at heart, the influences on their music range from jazz to bluegrass, from folk to blues. 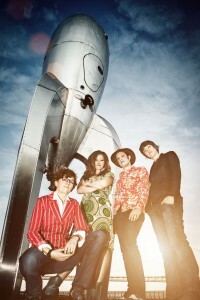 Sweet Radish play for the next in the Alamosa Live Music Association’s (ALMA) Sundays at Six series of free admission concerts in Alamosa’s Cole Park, Sun., Aug. 12 at 6pm. 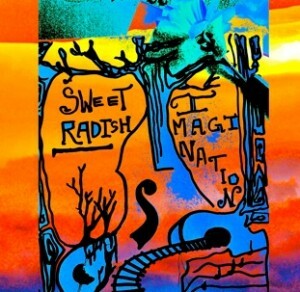 “The Sweet Radish Mission is give the community a reason and a place to get down,” according to the band’s Facebook page. They are diverse group of musicians who have one common goal: to make some good music together and share it with those who want to listen. As part of their transition from a quartet to a trio, multi-instrumentalist Don Richmond will play with Sweet Radish at this show. 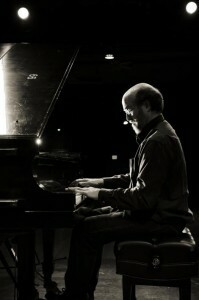 Grammy Award-winning solo pianist George Winston will perform a benefit piano concert at 7:30 p.m. on Thursday, August 16th in Leon Memorial Concert Hall on the Adams State University campus. This solo piano concert will feature selections from George’s melodic piano recordings, as well as R&B piano, stride piano, Vince Guaraldi’s Peanuts pieces, and more. OR by calling 719-589-5252 (credit card payment accepted at this number).